Copy the Sebastian folder into your SourceMods folder. Sebastian should now be listed in your Library tab. Use this if you have the original version of Sebastian. I will be creating an updated version soon. 8. launch Source SDK Base 2013 Singleplayer, the game should be running now! Jason’s work oozes quality; from the visuals to the gameplay. His first release on PP, called Powerstation was very well received and I have NO doubt this one will be too. from the opening scene to the final battle it’s clear that Jason is a professional level designer and probably one of the few who still makes mods in his spare time. I was fortune enough to be asked to beta test a late version of the map there was very little that needed attention. The mod basically, splits itself into 4 sections. The opening, outdoor scene, the pre-hospital, the hospital and the final battle. That opening section really sets the scene and I prefer that style to a simple passive intro. I’m not a big fan of dark underground sections but this was done so well that it didn’t seem a negative to me. The hospital section is the meat and two veg of the mod and delights with its clear layout but realistic feel. There was just enough ammo for me and plenty of variety from the gameplay aspect. The Strider following your progress is a nice touch and kept things from being too straight forward. Now for the final battle. Whilst this review has contained spoilers I certainly don’t want to complete spoil the mod for you. Let’s just say that Jason introduces a new concept that means killing the Strider is fun and challenging – without a rocket launcher in sight! I have no hesitation in recommending this mod and it’s possibly my Mod of the Year, although I’ll need to do my quick look back to be sure. If you don’t like this mod I will be surprised. Let’s just say that Jason introduces a new concept that means killing the Strider is fun and challenging — without a rocket launcher in sight! Yep, so nice inovative touch, is one of thos things that put your habilites to work, kind of Research and Development mod wher you have to fix it yourself with the Gravitty Gun I also like that part too. 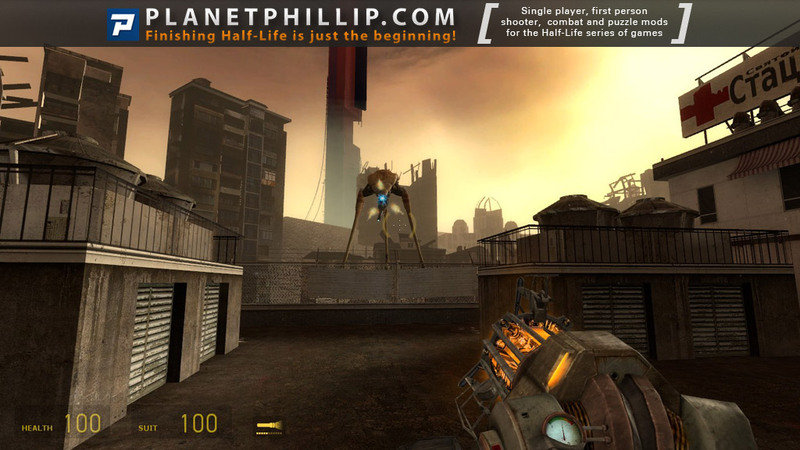 Well, this was a nice little mod that offers some of the Half-life 2 action we aren’t getting from Valve lately. It is a great improvement over Powerstation 17 in the sense that the step-up of enemy difficulty doesn’t seem as obviously organized as it was in that map. 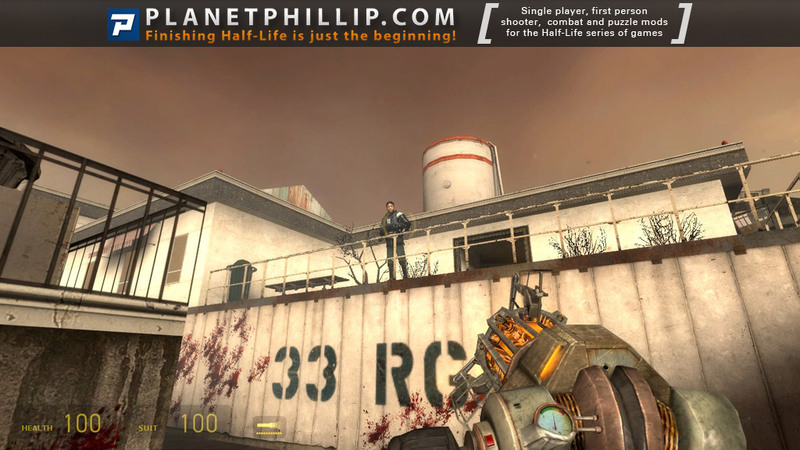 There is a great combination of the cast of enemies and this mod offers some frantic combat moments that make HL2 still be genuinely fun after all these years. The layout of the mission is very well thought out and although none of the themes and locations (streets, parking, hospital etc) are really new, they do seem consistent with each other and part of a whole. This is an area where most map packs tend to fail. There’s not much to comment on the architecture, as it’s really up there with Valve’s work, both for the good and the bad. Layouts are more in accord to a gameplay purpose than real-life logic [spoiler](I’d like to see a car try to go up that ramp in the parking 😉 )[/spoiler], but for most players this will never be an issue. Pipes crossing through concrete beams and pillars, metal trusses used as beams in concrete-based buildings etc are also the minor details that will always bug me, and usually show how as level designers we sometimes do absurd things for the sake of detail. Yet again, this will never bother the average player. Lighting is probably where these couple of maps really shine, and you only have to glance at the screenshots above to notice that. 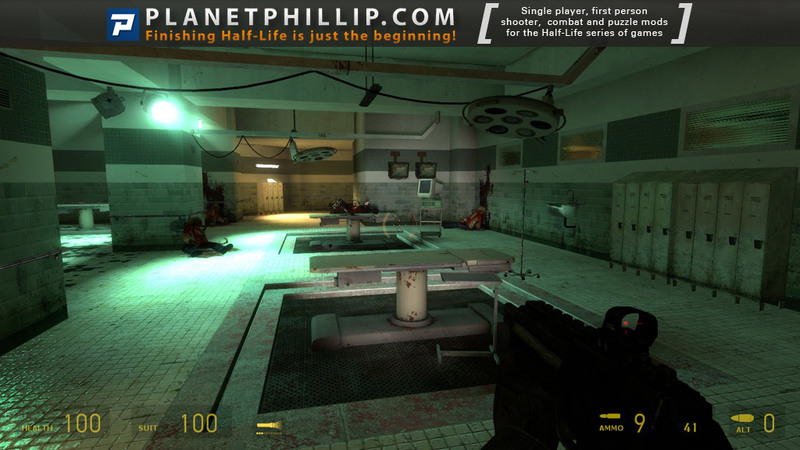 As Phillip says, even the dark areas are well done and serve the gameplay purpose they intended. Some lights (in the parking area) seemed a bit excessive in their HDR effects, but I think it’s very difficult to get spot on and it happens in most (if not all) maps that use HDR. Coupled with the excellent lighting is a very good use of ambience and music. The preexisting game assets (Breencasts, Kleiner speech etc) are combined to fit this new situation and it works. The voice acting for Barney did the job and the choreography was spot on. I don’t think there’s really anything globally negative to say about this mod except that it felt more like a single map (I think it was over in 20 minutes) than anything and could probably be part of something much bigger in which there was room for more experimentation (that said, the final Strider battle was a very interesting a new away to approach it!). I admit I was a bit surprised when I saw the [spoiler]repeating-stair-texture-effect in quite a few places (sometimes retail games like Quake IV come out with this mistake too)[/spoiler] but I guess this will be fixed if Jason ever updates or expands these short yet wonderful maps! You should try parking in garage in New York City sometime! It’s much worse! Very, very good indeed. I thoroughly enjoyed this mod. Excellently mapped and the combat gameplay is hard but excellent. Very evocative of EP1 but without Alyx (thanks for that 🙂 ). The Strider is a great friend; I used it to good effect and saved a lot of ammo’. It was a shame to have to take it down. A PF had it been longer. My gratitude to you Jason Gimba for another great mod. I’m off to play in Hard. Excellent. Extremely hard in last battle I thought but overall its very well done. Good maps, rewards exploration, good Barney voice actor. Multiple ways to approach fights shows real mapping talent. Dangerous World came into my mind while I was playing, and if that’s not a compliment I don’t know what is. In the end there’s nothing really new in this mod , but when its this fun you don’t need that. This was cool 🙂 , at first I feared a rip-off of Ep1 with Barney replacing Alyx, but there is slighty more than this. This was very good in terms of gameplays, you have to give it a try! 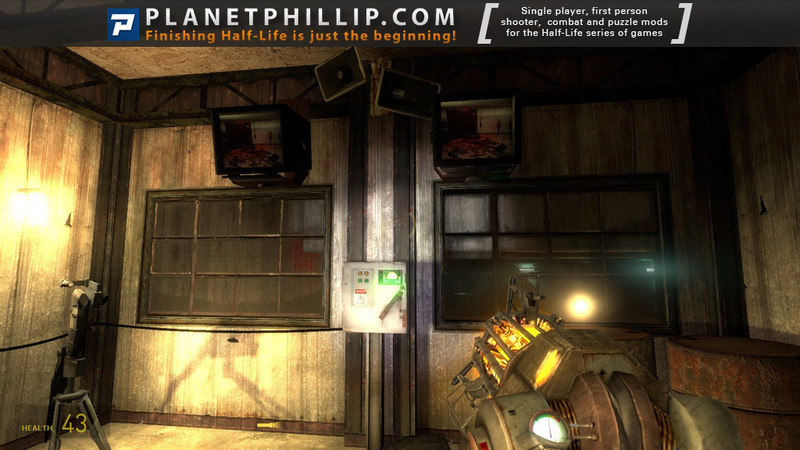 Btw, I was already a fan of Powerstation 17, and this second effort confirms that the modder is clearly apt in modding! Wow, what a fantastic mod! After 10 seconds I was facing a Strider and I said to myself: This is gonna be an interesting challenge! The layout and architecture is excellent. Combats are sometimes hard, just what I like. The progress is unfolding in a natural way. A big cheers to Jason Gimba. Keep it coming, man! Right at the beginning, you can tell that the voice acting is really good. It’s not perfect, as the guy does not sounds like Barney, but for a person like Barney, that voice really fits. I also like how the author of the mod didn’t use any custom lines for the rebels, you can clearly tell that’s their original voice. 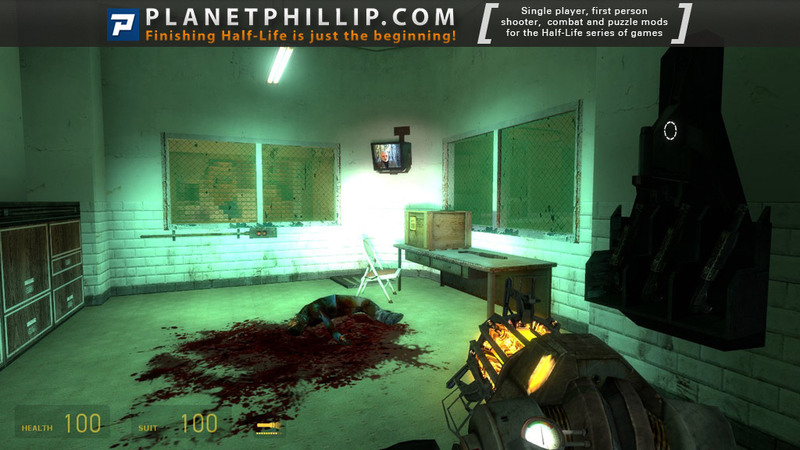 Second, this really captures the feel that Half Life 2: Episode One gave you. 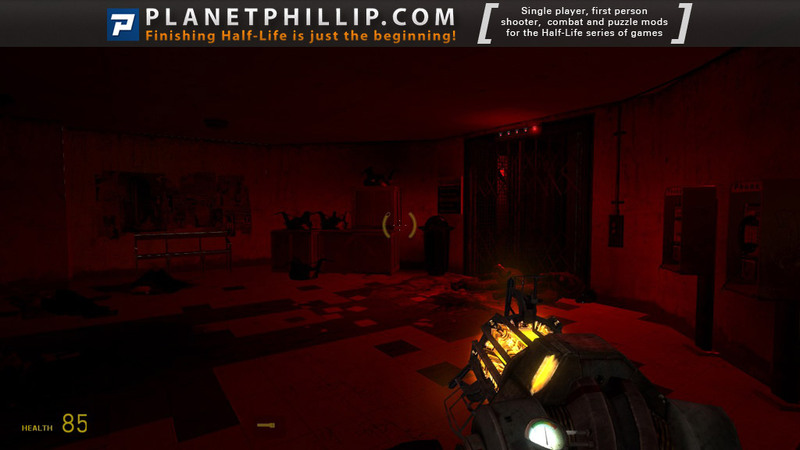 The main atmosphere of that game was darkness, hidden, destroyed, as clearly seen with the hospital and underground parts. I LOVED the low light parts in this mod, they are short, yes, but hell they are sweet. The hospital was my favorite part on the entire game, so I was surprised at how well the author of this mod replicated that feel. 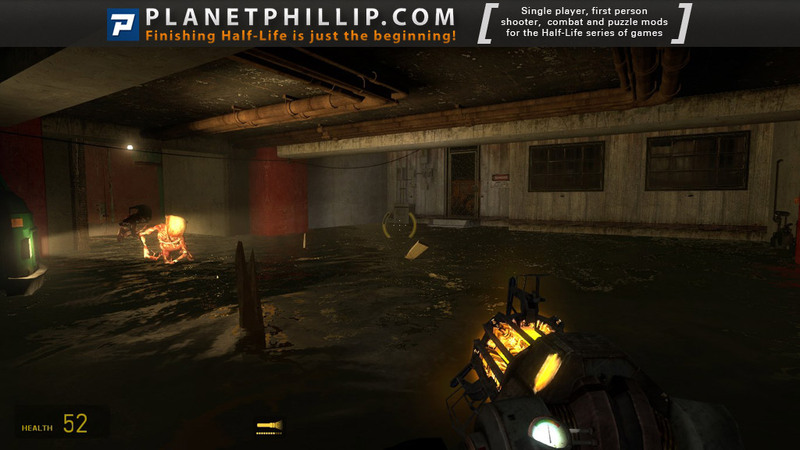 It wins so much in atmosphere, that you could throw that in the middle of Half Life 2: Episode One, and except for the continuity, it would fit right in. 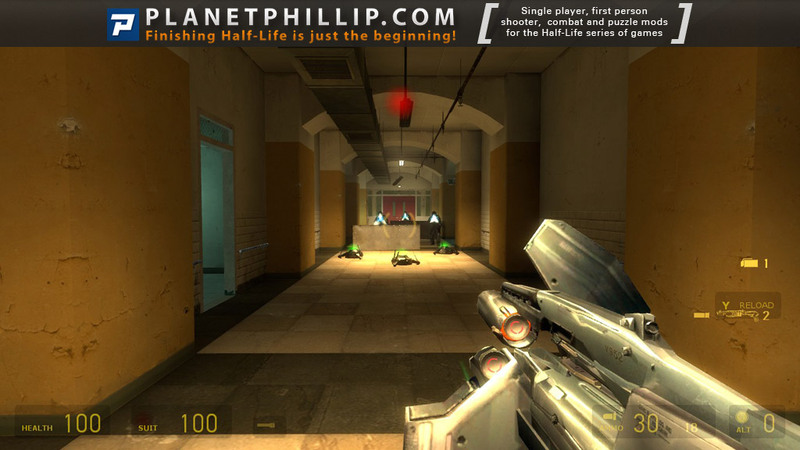 The level design is superb, Valve-quality. 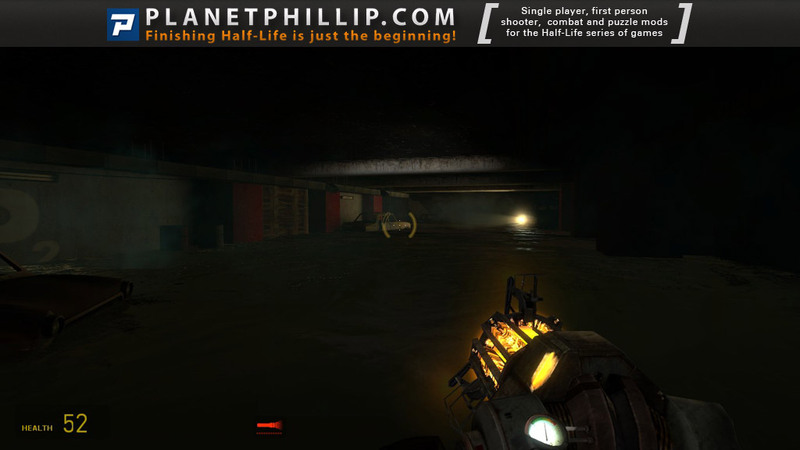 The garage part really feels like an underground garage, or whatever the hell those were on the original game. However, where the game really shines, is in the hospital part. It takes the entire hospital part from Episode One and sorta makes you re-play that part, but the level design, enemy placement and everything else in that part is so well done it does not feel like you are replaying the hospital part. Where this fails, however, is in story and lenght. I could totally see him adding an intro with Alyx saying she’ll go another way, leaving Gordon and Barney together, just to add some continuity onto Episode One. I was kinda getting a buddy relationship feel at the end dialogue, but then it ended. 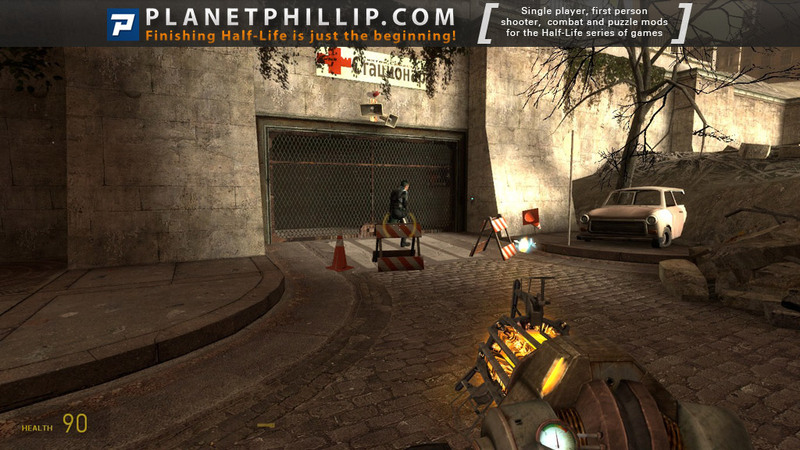 Thats right, its short, and it could have explored a really un-explored part of the Half Life 2 universe- I would give my heart for a sequel to this mod with you and Barney going to the trainstation. Great voice acting, awesome level design, perfect atmosphere and excellent gameplay give this mod a “Personal Favorite” and a high fun rating. However, it could have been so much more, if it wasn’t for the short lenght, and the un-explored Gordon-Barney buddy relationship. This was perfect all around. Perfect setup to being alone. The whole idea of needing to meet Barney on the roof and beginning that journey by plunging into eerie blackness was done perfectly without any flaws that I could find. The ambient sounds while working my way through the hospital were just sensory perfection. PF all the way. Another fine, fine job by Mr. Gimba here. 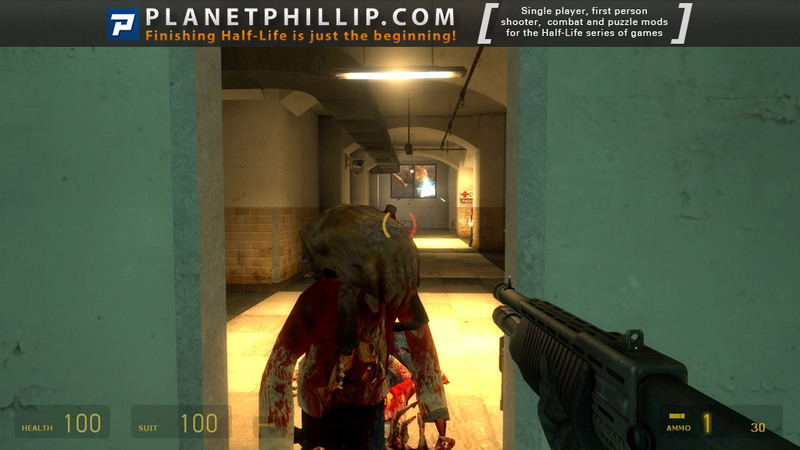 Anytime I play a mod that seamlessly makes me feel that I’m playing another Valve created chapter in HL2, then it gets a big Personal Favorite from me. I can go back and play this short mod over and over and over again. Two quick gripes – the Turrets ignores the Combine. And I would have loved to have seen the Strider blow a hole in the Hospital corridor. It would have really added to the suspense of the scene. I’m hoping Mr. Gimba is working on something with EP2, I’d pay money to play it. This really is a PF if it had been a bit longer. Jason is a superb author. This was completely enjoyable the entire way through. I loved the “new” style of battle at the end, it took me a minute or so to figure out what to use to complete the kill, as if that wasn’t intense enough add in a few combine as well. Just a terrific play. I think most above comments cover it. I’ve a bit of an issue with this mod. I won’t at all fault the Barney impressions and stuff, because it was actually intergrated well enough, but I think the man here got the design wrong. With a mod this short, you have to keep the action going or make it entirely puzzle based. Instead our first sequence is [spoiler]running from something, then a dark elevator activation, then close quarters firefighting in a hospital. [/spoiler]None of it flowed nicely together. The final boss battle was nice, but I’m sure everyone’s wondering how exactly those events happened. The map design is a bit confusing too, and holds you at needlessly long chokepoints at times to play a scripted sequence. 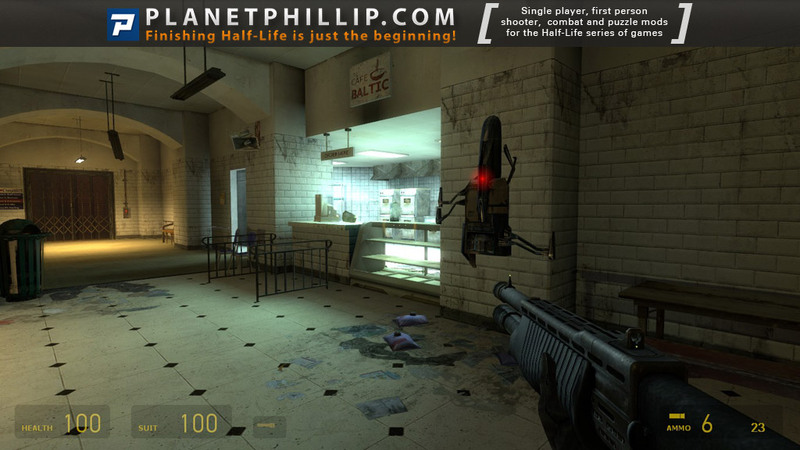 This mod simply tries too hard to evoke the Half Life 2 feel and while it succeeds at time, it fails at others. All in all it’s not bad, but merely not excellent. 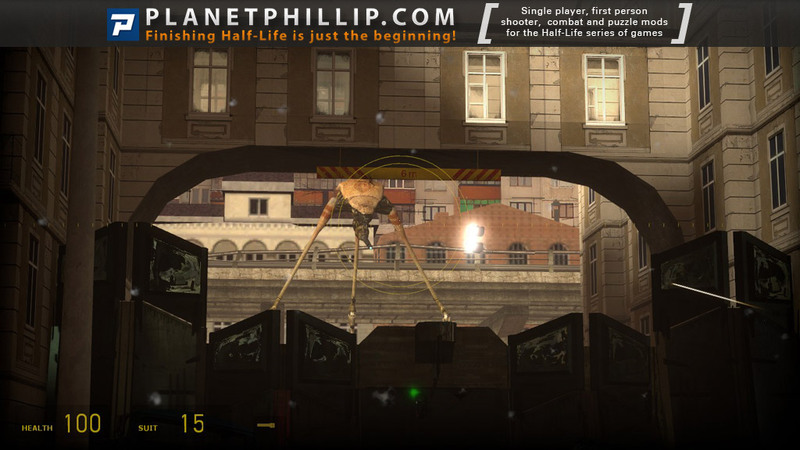 Sebastian is perfectly condensed so as not to feel dull at any moment, and showcases some interesting new scenarios which test the player’s HL2 skills (quite an achievement to still be throwing up new ways to fight Striders). The combat was intense and only felt unfair once (the dark elevator section overwhelmed me at first) and there was a good use of new and existing dialogue. The set-pieces guide you through at a superb pacing which ramps up at just the right moments with a surprise around every corner. 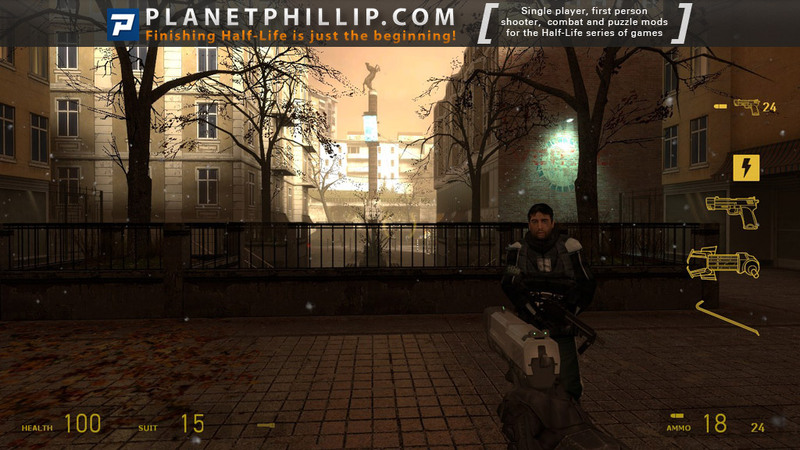 Visually, this mod is as good as – if not better than – Valve’s own standards and manages to present us with a fresh look at new parts of City 17 which still feel entirely consistent with the world of Half-Life 2: Episode One. Quality stuff – all the way through. Never a dull moment. The best aspect I found to be the excellent pacing of the gameplay. I would have given this a play it later, but the sheer DIFFERENT handling of the strider finale warrants elevating this to a Play it Now. I ended up using the first turret gun the whole way through the map, so I never felt particularly harried by any of the enemies, nor did I ever run low on ammo. In some ways I enjoyed being able to rely on this, but it just wasn’t effective enough to sit back and let it do all the work. The only real flaw I noticed was that often times the zombies would just crowd around the turret and then not do anything. It’s a solid design, relatively good voice acting (though I personally would have skipped the use of Barney unless I had found someone who could actually mimic the voice) and well balanced difficulty. I generally wasn’t on the edge of my seat, but there were a few times here and there where I got careless and got killed as a result. I appreciated much of the attention given to creating an atmosphere through the lighting, both bright and dark, and particularly with the use of background sounds, and to some extent the music. The voice acting for Barney, though not perfect, was just fine for the set up of the story, which like much of HL2, leaves you to your own devices until you can meet up with a familiar face again. I’ll look past the relatively minor inconsistencies in the details and say that they layout of the maps is very nicely thought out, giving you plenty of places to explore and hide as you progress. There were a few surprises along the way and a menacing strider to keep you on your toes, but in general I think it would have made it more challenging to provide less supplies (and also to make it impossible to carry the “friendly” auto-turret.) In the end, I really wished it could continue on to the train station, which means it’s a PIN Nice work! 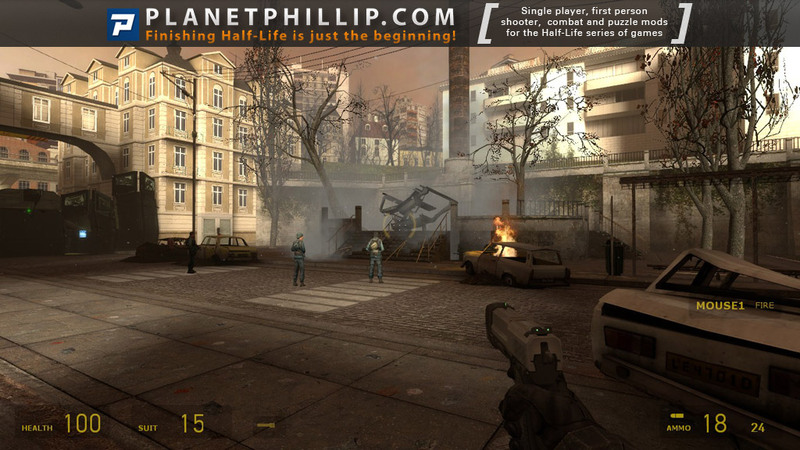 This mod is not compatible with the Mac version of Steam/HL2, as of January 2011. I really enjoyed the pacing and thrill of this little mod. I didn’t much care for the replacement Barney voice, but at least it was well acted (and pretty funny at the end too). I don’t think I’d have liked it if it were much longer at the same intensity, but perhaps integrated into a longer piece with more puzzle or exploration options, this would be a keystone part of a game. There were moments when I literally jumped out of my chair in surprise, and that was excellent. It’s been a long time since something really surprised me – even if it was something that could have been predicted by others. Hey all, thanks for all the feedback on the mod! I am glad to know that many people enjoy it. I enjoyed reading that, Kyouryuu. Also, very informative. Wow, this was amazing. Where to begin? I loved that the entire level was themed around the strider. It forces you into the garage, hounds you throughout the level, and is the final end boss. Barney was well done and was great at orienting the player and making the objective clear. Too bad we couldn’t fight alongside him for a bit. I personally found this map very challenging as well. I always just barely had enough ammo and health to survive in the end. You can’t go about wasting your ammo on zombies and combine so I needed to rely on the gravity gun for quite a bit of it. Overall it was very well balanced as not to be too hard but not too easy. 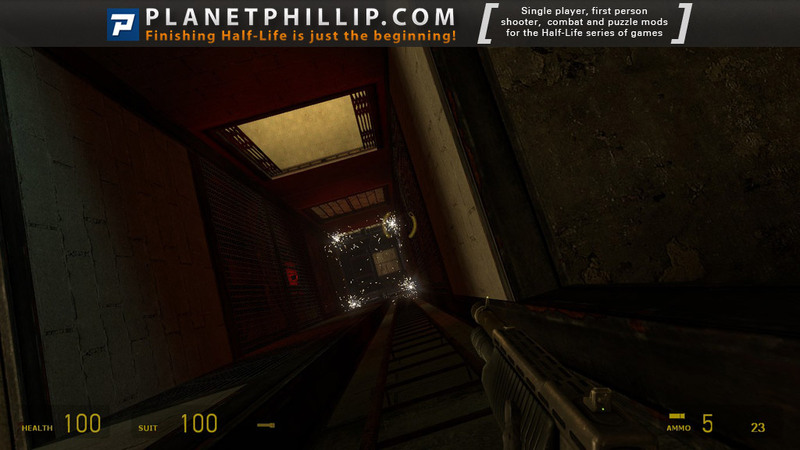 I loved the scripting for this map as well; for example having the lights go down and the enemies come to swarm you during the elevator battle. Very cool and episode 1’ish. There was great variety in the map. Plenty of enemy and obstacle variation to keep you on your toes. It never fell into the tedium of fighting one type of enemy and there always seemed to be something new around the corner. Overall, great job. 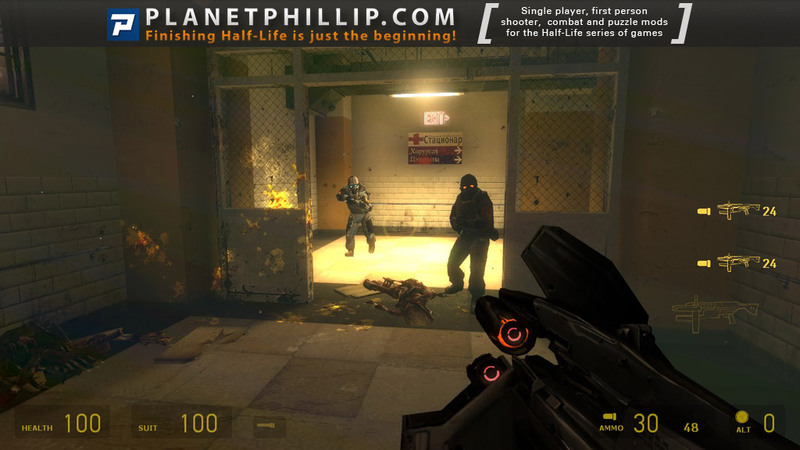 Professional polish, layout, visuals, and gameplay throughout. Extremely good — easily as good as the original game. A great little map pack that pits Gordon and Barney against the combine in their attempt to escape from the doomed City 17 in the hours leading up to the citadel’s destruction. The caliber of the design and balance were such that the pack feels like an extra morsel that could have been inserted straight into Episode 1. The concluding boss battle is unique, adrenaline-inducing, and – best of all – well-foreshadowed: it takes some excellent design to build anticipation in the manner that this map pack did. Great stuff; play it right away. Yeah it was great!!! but as always too short. A master Piece indeed we have the delight to play here, why, because at least for me, the hospital fight in Ep1 was one of my favourites in that part of HL2 saga, I mean, and here this mod came back to life that great time gaming feeling perfectly, and without that annoying alyx on my back, just freeman and Barney on their own way, I felt the rush of the ep 1 back again, and this author really fitted that perfectly in this mod, I mean again, the enviroment or the spirit of this mod is so cool I really enjoy to play it, even tough it was too short, but maybe perfect long to enjoy a complete mod. I will play the mod called powerstation 17 of this author because if this was good then i’ll just have to play the other that im sure it’ll be as good as this one! For me, this mod was just Valve-quality. I cant remember anything that annoyed me during this mod. I started playing it and I were fully caught by the mod until I finished it. The final battle was very creative and pretty hard as well! I ended up with only 10 health. Anyway, this author is pro! I downloaded the Sebastian mod. 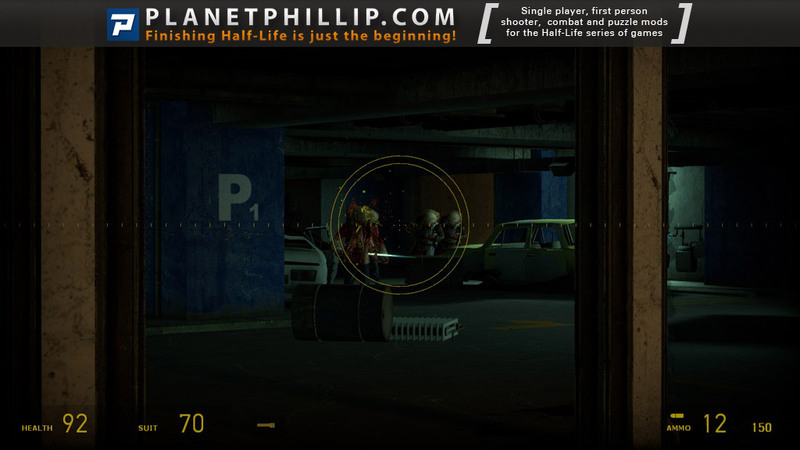 It appears in my Library but when click “open”, it opens Half life 2 Ep 1. What should I do? I played this mod because it was #1 in the top 10 downloads but I honestly don’t get what the fuss is all about. Enemies shooting at you through windows while crossing a hall has been done before. 3 types of zombies in a dark parking lot has been done before – I actually missed the flares! Using a turret or props to save health and ammo has been done before – I never used my pistol, smg primary, ar2 primary or magnum and barely my shotgun..
And for a hospital it was weird to find more suit than health, imo. Having NPCs around that won’t fight alongside with you has been done before, to my disappointment. At one point, going from one room’s bathroom to another for items became repetitive and so did 2 operating room fights, one after another. Also lighting needs work in a few places. Mod is bug free. Which means a lot, so good job betatesters! Fights are balanced and very enjoyable. Mapping is OK, the intro area could’ve been used a lot more for its bit of eyecandy. I died only once from double hoppers, I think. Length is ok, maybe too short because I see potential. The whole level could’ve been used for a lot more and extended easily, because it has flow from start til end. Voice acting always gets a bonus point if done well and so does sound as to creating the atmosphere. I know you’ll hate me for giving it a Maybe instead of Play it Later, but I think it’s got enough high recommendations as it is. This was a fun little mod. The strider battle at the end was well-designed and I enjoyed the design of all the combat scenes as well. Well designed, clever and even some new ideas in it! This is definitely recommended for everyone! What a fantastic mod! Too bad it was so short. Just copy and paste it in your existing GameInfo.txt file over the existing code. If you were clever enough to figure out how to incorporate the mod into VPK, please let me know. I’ve tried copying this gameinfo and using various other gameinfo.txt but I’m not having any luck so far. The game either crashes right after the intro video or will start loading the background map and then crash with an error saying it cant find a .vtf texture for the console. Is anyone aware of any fixes? 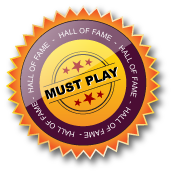 If you have a working gameinfo.txt would you mind emailing it to me ( darren -dot+ weekes -At+ gmail.com) or uploading it somewhere? I am looking for one too – as far as I can tell there is no fix for Episode One mods. Could you post here if you get it working? Yep, I have it fully working. See my post further down. Wow, this seems like something that could show up in the actual Episode One! The only problem I could find is that it’s really short. It has two chapters but it honestly only feels like one. Other than that it’s an amazing mod! The intro is really cool, having you run from a strider into the basement of the Sebastian hospital that the mod takes place in. It’s perfect. I honestly don’t like the next segment. 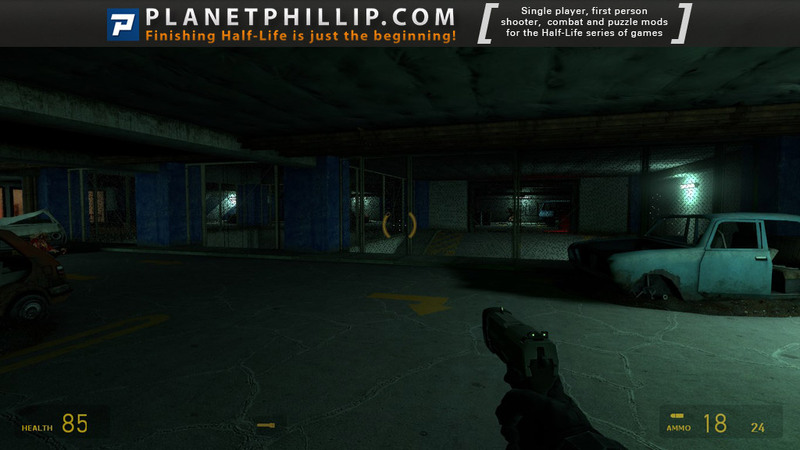 It’s obviously trying to be like the chapter Lowlife from HL2:EP1 but I didn’t like that chapter. I did like this part of the mod better than the original Lowlife but I still didn’t enjoy it very much. It has one of the same problems as the chapter it’s imitating. It’s way too dark! Thankfully it does not have the other problem Lowlife had which was that it was too linear. This level has multiple places where you have to branch off to different areas. I liked that and the fast zombie ambushes but other than that I don’t like this level. There’s also something I’d like to point out which is that the ending is exactly like the end of the first part of the author’s previous work Powerstation 17 in that you have to wait for an elevator while fending off zombies. The next part takes place in the hospital itself. It also is the introduction to Combine in this mod. It’s a lot like the hospital from Urban Flight (the chapter from EP1). It’s a bit linear and the turrets were pointless since I just ran at them and threw them down the stairs taking almost no damage but that’s not important. I love how the Strider from the start repeatedly appears leading up to the end. This chapter is very fun. The final battle is really creative in that you can not kill the Strider with the rocket launcher since there is no rocket launcher in this mod. Instead you have to use your Gravity Gun to fling Hopper Mines at it. I do have one complaint and that’s that the scanners sometimes drop the Hopper Mines too much towards the back and front of the arena so that you can’t bring the mines to the Strider or else he’ll kill you and you can’t get them from the front because, well, he’ll kill you. It’s a very fun fight though, and the ending is pretty funny. I definitely recommend this mod. It’s really really really really good. Take Powerstation 17, turn it into a more story based mod and multiply its awesomeness by five and you have Sebastian. The fix described above by hl-csd 17 allowed me to start the game, after I renamed background_01.bsp to background_02.bsp. However, the mod crashed every time it tried to spawn a headcrab gib (e.g. from using an SMG grenade). A comment on Sebastian’s ModDB page suggests that the FileSystem section of http://pastebin.com/7htcfkZP can be used to make this mod work. I personally haven’t had any success with that file. bump. Anyone been able to modify this to work with steampipe? Would love to get it to play. So ep1 mods still not supported with the gameinfo fix? I tried the aforementioned gameinfo txt swaps, but I’m getting an engine error, something to do with func_brush. I can’t get this mod to load. I’ve tried the gameinfo trick from above. Any other ideas? Having the same problems as everybody else. 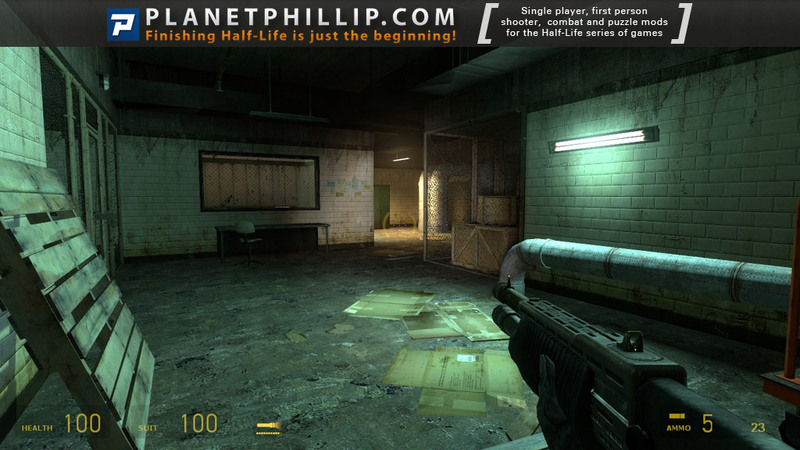 Can you run it Phillip? If so could you post your gameinfo.txt please. A lot of these broken mods will start up the process, get to the point where the mod’s splash image (like the Valve head guy in valve games) is, and crash because it can’t find that image. If it’s not using a custom splasher, it might get to the menu section and crash there because again: a custom thing in a location that the mod somehow doesn’t find, even if all your games are in the right place. This happened after one or more of the various updates to the organization of the source games. 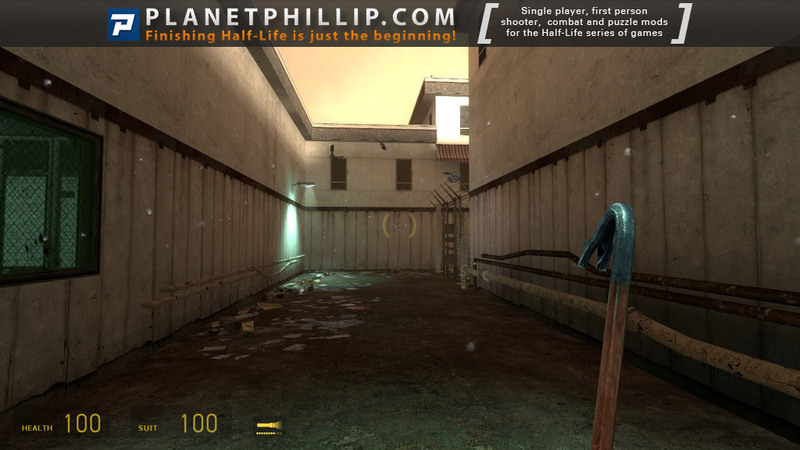 Once they put episode 2 into the Half Life 2 folder I think that absolutely broke everything. Sometimes they just simply fail to start – if you’re LUCKY you get a weird “failed to start because ‘numbered error that makes no sense in google’ happened” message. I’ve seen that specific message once or twice around the mods, whether they’re started in Maptap or manually. This worked for me today. Like Zekiran I installed using MapTap which got me as far as the “48/ – func_brush: UTIL_SetModel: not precached: *8” message. I then went into “C:\Program Files (x86)\Steam\steamapps\sourcemods\hl2-ep1-sp-sebastian.7z\Maps (or open the install folder in MapTap and open the Maps folder from there) and changed the file named background01.bsp to background02.bsp. Et voila! Everything running fine and no crashes (yet). Have played about half way through and it works just great. Hope this will help anyone else who is having difficulties. While that does work, and worked for the Mansion 4 as well (all I could find so far on my 7z files, I need to redownload a couple in question) the problem becomes that it isn’t the actual mod’s intro scene or background. It’s pretty jarring and obvious on one like the Mansion, because it had very specific new textures and scenery, that just isn’t there any longer. While it makes the mod possible to play, this isn’t really a long term solution and certainly not one that actually means the mod is ‘playable’ as-is. Try installing it with the beta I sent you and it should ask if you want to fix background maps – say yes. I did, but nothing changed. The beta is 2.5.0 yes? I thought? I’m still getting that funcbrush error and it fails to finish launching. Nothing else happens from maptap’s end. No, the beta is 2.5.1_bundle2mod4. Check in the ABOUT section of the application. Ahh okay – the bundle link was what I needed. Thanks! Trying this mod again and it did give a popup this time. If there is any error, verify the Source SDK Base 2013 Singleplayer cache in Properties, “Local files” tab. I love this mod. LOVED it. Short and sweet. It left me wanting more. 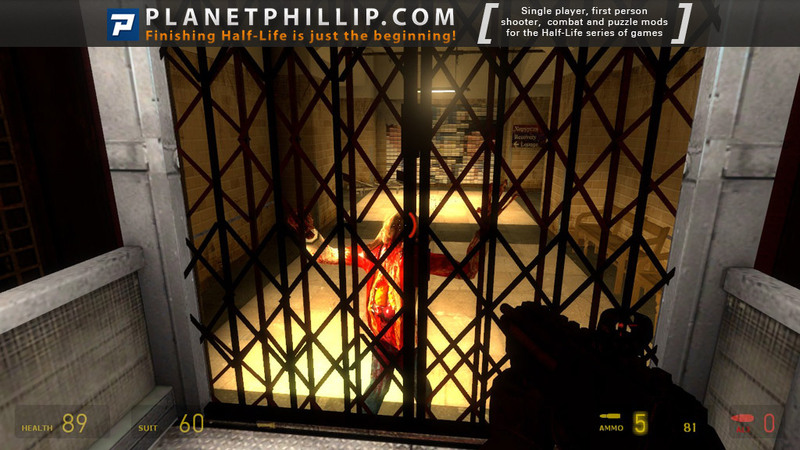 Hands down, Sebastian is Valve quality level design and gameplay — i.e., it achieves that wonderful balance between puzzles, thrill, action, and pacing that we know and love from HL2:E1. 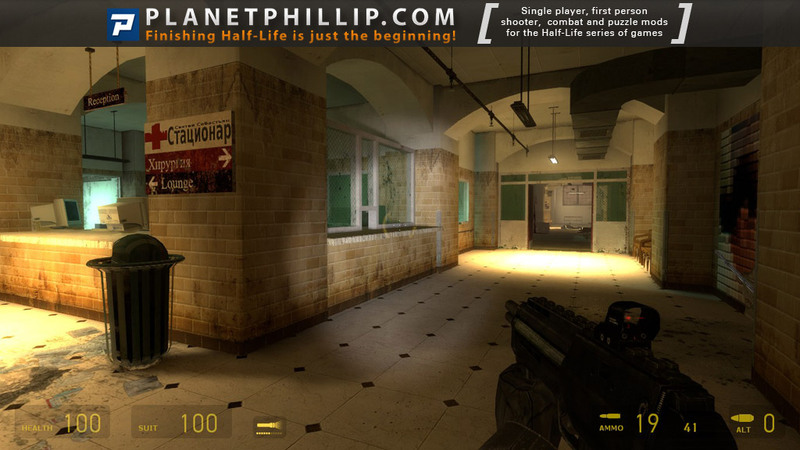 The hospital portion of HL2:E1 was always my favorite part, and every time I play it I wanted more. Well, Sebastian delivers. It also has great replayability — and that says a lot. Unlike other mods that are fun to play once and then never again, Sebastian is one of those rare and artfully done mods that merits another playthough at some point. The only minor complaint (and it really is minor) is the original voice acting added for Barney. The quality isn’t bad, and it even resembles Barney a bit, but it also isn’t as high a quality as all the other elements of this mod. Finally went back and played this one. I knew it was one of the most-downloaded maps here on RTSL and it’s been on my list forever. First, let me say that the instructions in the comment by easton (and in the ‘Fix Installation Instructions’ section) worked fine for me, although I couldn’t bring up the console while playing. Use this method with the Source SDK 2013 and you shouldn’t have any problems running it. This was a great trip back to Episode 1’s strong sections. Yes, Sebastian doesn’t do a whole lot of new stuff but it’s nicely polished and you get a decent variety of locations and gameplay in the half hour or so it takes to play. I honestly didn’t like Episode 1’s long dark underground section (Lowlife) much – I thought it was a gimmick (forcing complete darkness on the player with a terribly short flashlight lifetime) and taking it way to far with all the battles, especially the final elevator defense. It’s handled much better in Sebastian – there’s a standoff sequence while you’re waiting for another slow elevator – but if you’re attentive you’ll have a turret with you and some hoppers to help you out. In brief, the garage segment was just about the right length and doesn’t overstay its welcome unlike in Episode 1. The other highlight for me was the end battle with the strider. Here is where we actually do see something new – you don’t get an RPG to fight the strider, but you can cobble together other methods to take it down. The area is decently laid out, with enough cover if you’re careful. Overall my main complaint is that it was too easy for the vast majority of the playtime. I was tripping over health packs and batteries and there was tons of ammo around, especially if you use the gravity gun sometimes for the easier enemies. I would have liked a tougher challenge – although I do think the end battle was balanced nicely. The voice acting is pretty good – although I agree with the other comments that perhaps I wouldn’t have used Barney with a voice that isn’t his original. 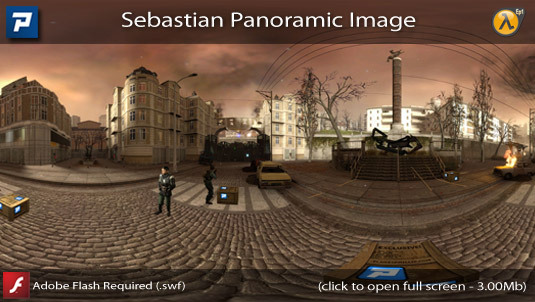 Sebastian is a pretty strong map pack based on Episode 1. I’m reviewing this 6 years after its release, and since then we’ve seen much more impressive maps from Jason. But Sebastian is certainly worth a play. This mod was very, very good. It was the first mod I installed after a break of a few months, and it has got me hooked again. 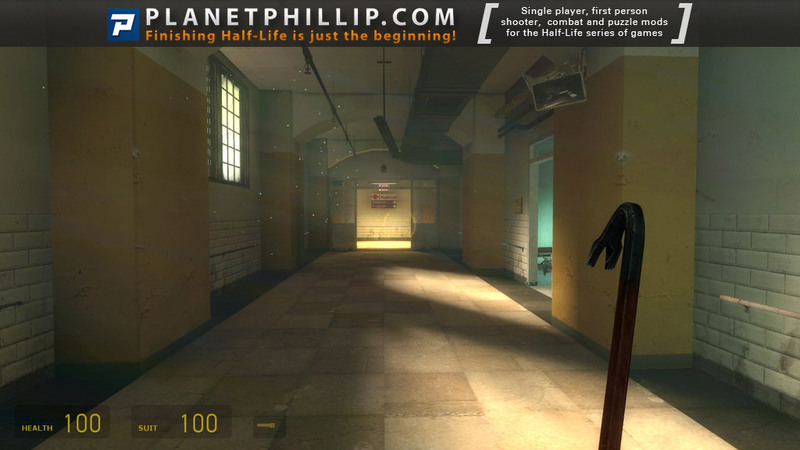 The visuals are very refined and detailed, of a Valve quality. From the start to the final battle, we travel through a hospital ( I think the same one from episode one), it is very interesting setting, one I’d like to see used more. nope, tried everything mentioned…it just doesn’t work…shame. Excellent story and game play from beginning to end. Will definitely come back and play it again someday and recommend that everyone play it too.